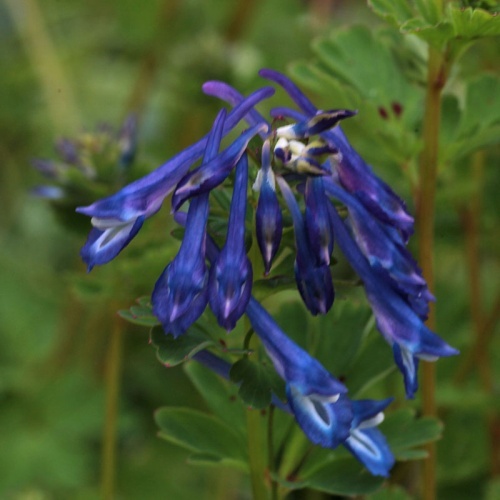 Since the re-introduction of Corydalis flexuosa to western gardens in 1992 (the CD&R collections) these bright, electric blue herbaceous Corydalis have become much more widespread and better known. More collections of other species followed and hybrids with Corydalis elata, Corydalis cashmeriana and others (many unidentified) soon followed. 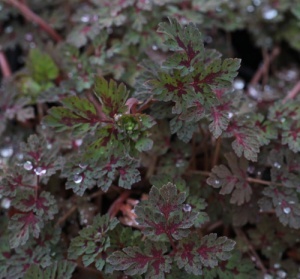 Some of these hybrids are more or less evergreen which is a great help for those gardeners who have found the summer dormant Corydalis flexuosa difficult to manage. 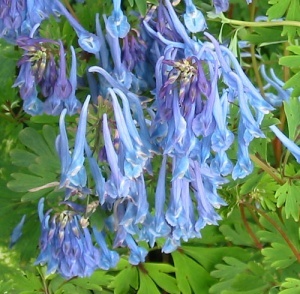 Corydalis elata also introduces a sweet scent. 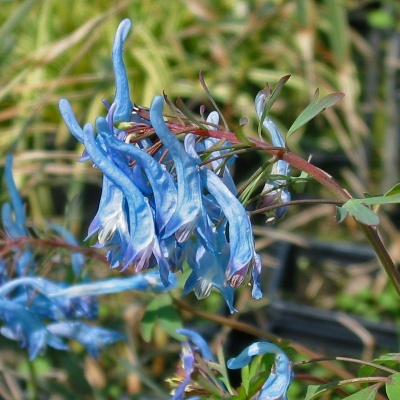 We also grow a handful of tuberous types of Corydalis which can be grown just like any other spring flowering bulb. 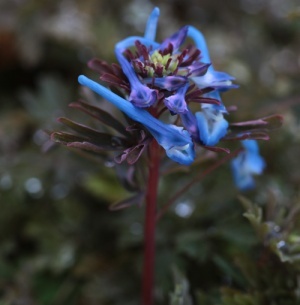 Our offerings are perfectly hardy in the garden and include Corydalis malkensis and some forms of Corydalis solida. 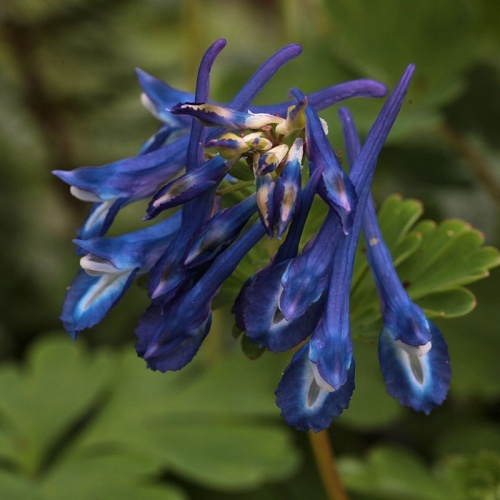 For more information on the blue flowered Corydalis see our blog entry here. A new hybrid between C. elata and C. flexuosa with mid green leaves and brilliant electric blue flowers on red stems. Strongly sweet scented flowering in late spring and early summer. Good soil in shade. 30cm. 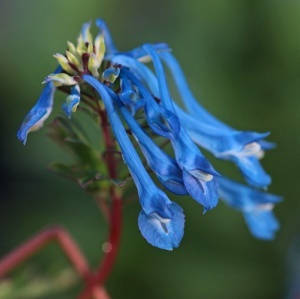 Tidy clumps of bright green foliage and heads of scented electric blue flowers to 35cm. Much easier to grow than the usual form of C. elata. Good, leafy, moist soil in shade to do well. 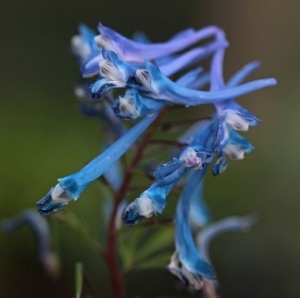 A compact form with light green foliage and heads of electric blue flowers to 30cm in early spring, and later if it doesn't dry out. Shade, reasonable soil. One of the 3 forms introduced by Compton, D'arcy and Rix in the early 1990s this electric blue flowered form has red-purple stained foliage and dusky purplish buds before the flowers emerge. Spring flowering, summer dormant woodlander which re-grows in autumn. Hardy. 30cm. 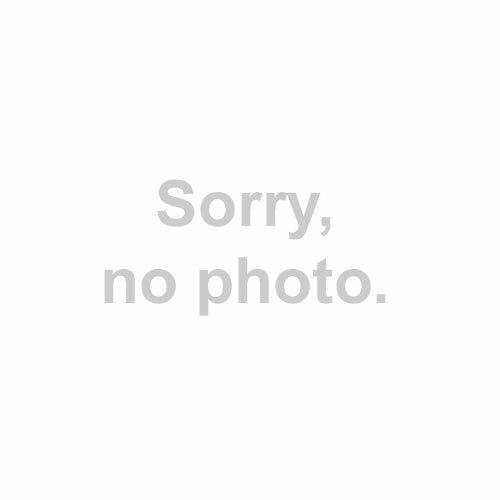 Bright blue flowers with a smoky flush for weeks in spring. Not quite so vigorous as 'Pere David' but a more subtle colour. 30cm. One of the best blue flowered species from China with an upright habit and dense heads of strong electric blue in late spring with a delicious scent. 60cm. Good soil in shade.